Mantyke in game: 1,624 Who? Important notice! Pokemon Mantyke is a fictional character of humans. Mantyke (Japanese: ???? 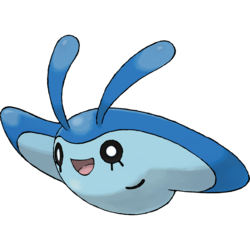 Tamanta) is a dual-type Water/Flying baby Pokémon introduced in Generation IV. Mantyke resembles a manta ray. 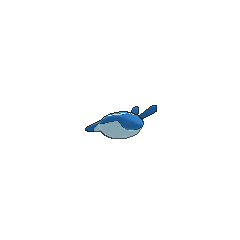 It has a round body with wide, flat fins. Its back is dark blue, while its underside is light blue. There are two red spots with white outlines and a light blue, curved line on its back. These markings give the overall impression of a smiling face and vary slightly in each region. It has two long, curving antennae on top of its head and black eyes with eyelash-like markings underneath. 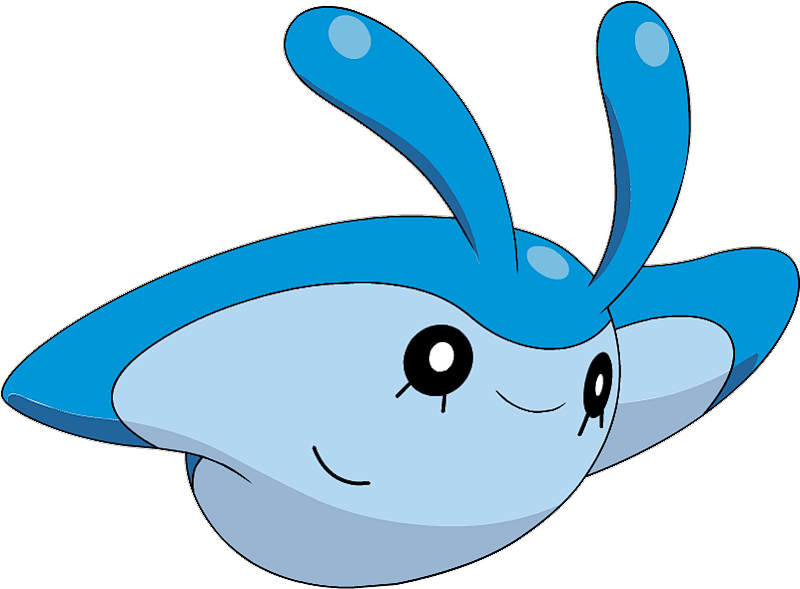 The antennae are used to sense ocean currents. 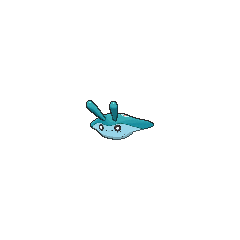 Mantyke is a friendly Pokémon that can be found swimming near the ocean's surface with schools of Remoraid. Mantyke made its debut appearance in Pokémon Ranger and the Temple of the Sea. Jack Walker uses the Capture Styler on Mantyke in order to use it to help him reach the temple. It is also shown swimming with a Mantine, presumably its parent. Multiple of them also appeared in the same movie. Several Mantyke appeared in Cheers on Castaways Isle!. A Mantyke appeared in Following A Maiden's Voyage! during the beginning narration of the episode. Mantyke made its next appearance in the anime in One Team, Two Team, Red Team, Blue Team!, used by Ash in the second leg of the Pokémon Triathlon. A Mantyke belonging to a Coordinator was used in the Battle Stage of the Arrowroot Contest in Dawn of a Royal Day!. A Mantyke was seen with a Swimmer in the Diamond & Pearl chapters. The more Mantyke in the puzzle area, the more damage. 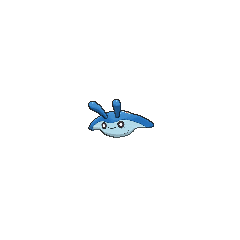 Mantyke has the highest base Special Defense of all unevolved Pokémon and of all baby Pokémon. Tamanta is a combination of ? tama (egg) and manta. Mandarin Chinese ???? Xiao Qiú Fei Yú Literally "Small ball flying fish".